Do the Winter Olympics make you think of packing up your skates and hitting the ice? You’re not alone. 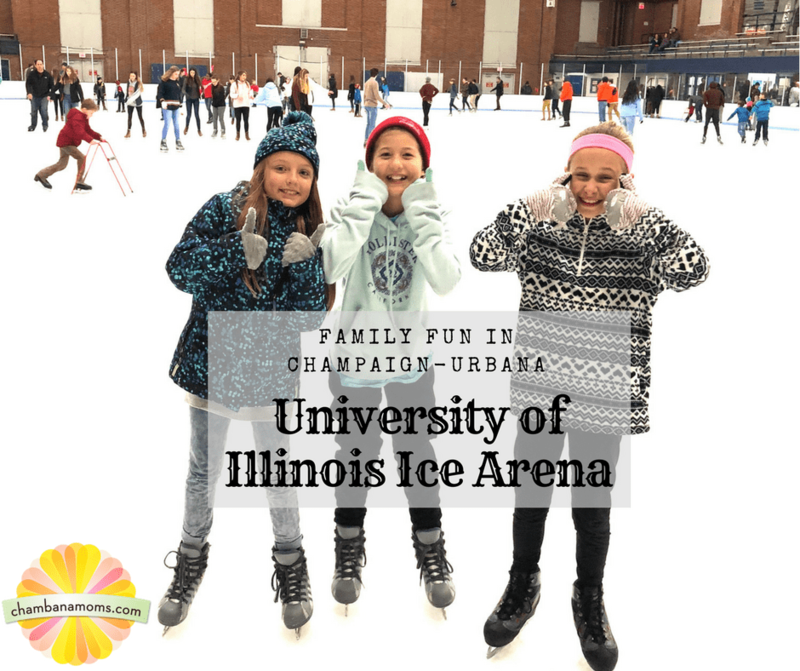 The University of Illinois Ice Arena has long been a favorite family outing in Champaign-Urbana. Located at 406 East Armory Avenue in Champaign, this campus facility caters to skaters of all ages and level of skill. It has open public skating generally available on Saturday and Sunday afternoons, a popular time to go, and some times during the week. Currently it’s the only ice available in the Champaign-Urbana metro. The ice arena is home to many youth and collegiate hockey and skating competitions. It is also available for rental for large group activities and birthday parties. How to get there? Well, it’s easy. Take Kirby/Florida and go north on Fourth Street. Turn right on Armory, and you’re there. But it’s not getting there that’s a problem: it’s the parking. Parking is not easy on campus, but there are metered spaces available along Fourth and Fifth Streets. If you plan on skating in the evenings (generally after 5 p.m.) or weekends, you might be lucky enough to land a parking spot in a lot nearby, when the lots are FREE. Our advice: READ THE SIGNS! A campus parking map is available here. If you don’t want to deal with parking, the CUMTD goes by the Ice Arena often; Uber and Lyft come in handy in these situations, too. So when you can skate? Public skating hours are offered on a weekly basis, but are subject to change based on sporting schedules. We recommend checking the calendar before heading over. In general, open skate is Saturday and Sunday from 1:30 to 4 p.m. It’s available Wednesday nights consistently as well (7:30 to 9:30 p.m.) The ice arena calendar is available online here: or the arena can be reached by phone at (217)333-2212. How much does it cost? Individuals 4 and over skate for $6.00 each plus a $2.00 skate rental; you can bring your own skates. University students paying the student service fee, campus recreation members, and children under the age of 3 skate free. – We recommend purchasing the family pass for $25 which includes admission and skate rental for a family of four; each additional family member is $5.00. – Punch card passes can be purchased at a discounted rate. These included 10 public skating sessions and cost $45 for youth and adults without skate rental, and $60 for youth and adult with skate rental. – On the first Wednesday of each month, discounted admission is offered to the ice arena which includes $2.00 admission and a $1.00 skate rental fee.Not so mobile? Don’t worry. If you aren’t feeling like you can land a triple lutz or double axel, the ice arena has FREE skate trainers/walkers available on a first come, first serve basis; we’ve seen grownups and kids alike use them. For guests with limited mobility or difficulty accessing the ice, adapted ice sleds are provided. Wheelchairs are also allowed on the ice during public skating hours.So what are you waiting for?? Lace up those skates and start practicing for the next winter Olympics. Saturday and Sunday: 1:30 to 4 p.m. Check the online calendar for updated skating opportunities at the Ice Arena. Does not including skate rental. $25 – Good for up to 4 family members, including skates. Can be purchased in advance or at the door. A $50 deposit is required 24 hours in advance.